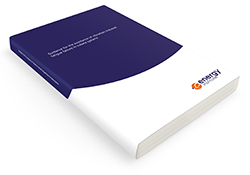 This guidance document provides an understanding of, and various methodologies for, minimising the risks from internal flow-induced vibration excitation of subsea pipework systems. Existing guidance on vibration in piping systems Guidelines for the avoidance of vibration-induced fatigue in process pipework is aimed at topsides and onshore piping systems. Given the unique challenges associated with subsea systems it was identified that separate guidance was warranted. This guidance covers all subsea systems from the mud line to the topsides interface, including well trees, flowline termination assembly (FTA), PLETs, manifolds, jumpers, instruments and flexible risers. Services include production, oil/gas export, gas lift and gas/water injection. Procedures are provided to cover both the design of new subsea facilities, and the assessment and upgrade of existing systems. This document covers the most common piping excitation mechanisms, with the exception of slugging flow and environmental loading.